It has been a wild year for XRRA rock racing. In the past, each XRRA event had two courses where one rock racer would run on each simultaneously. Even then, the action was intense but the changes made to this year’s format brought rock racing to a whole new level. New for 2010, each XRRA event brings just one course where two rock racers compete side by side. Without question, the level of competition & intensity among drivers is beyond anything seen before. 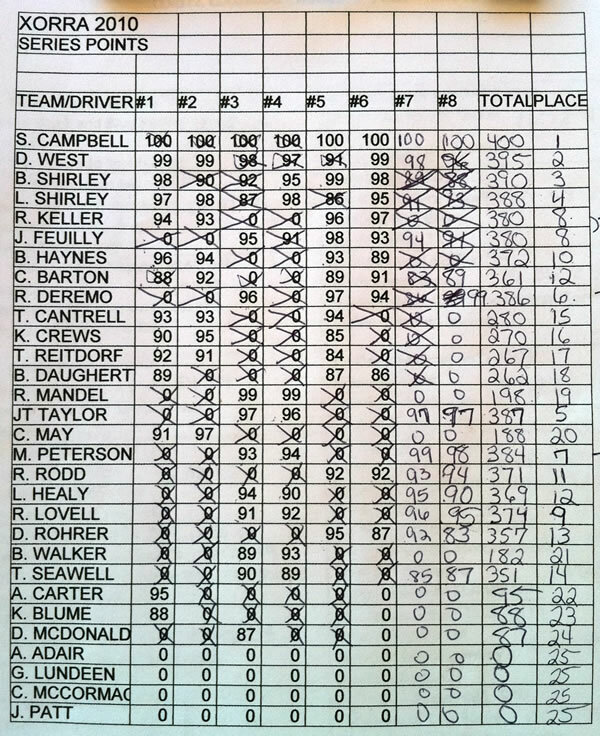 The 2010 season finished this past weekend in Cortez, CO and in the end of 8 brutal rounds of competition, Shannon Campbell proved the master of this new XRRA format. He not only took the 2010 season title but he did so by taking 1st in all 8 rounds of competition, something that has never been done in XRRA history. Derek West, Brian Shirley, & Levi Shirley rounded out 2nd, 3rd, and 4th respectively for the 2010 season with all 3 rigs powered by Spider 9 axles & components. 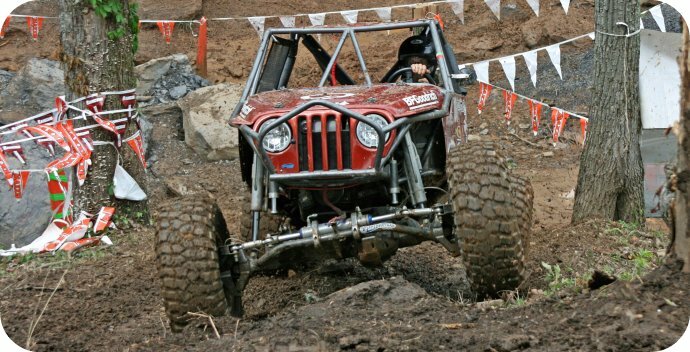 In the end, we want to thank all of the XRRA teams who supported Spidertrax throughout the 2010 season. In total, 12 of the 18 rock racers in Cortez were running Spider 9 axles & components which was awesome to see. For those looking for more XRRA action, we took over 50 videos from last weekends competition and posted all of them online (links below). First, I have to confess. The last time I went to a monster truck show was way back in the mid 1980s. If memory serves me right, Bigfoot was the truck to beat back in those days. Now fast forward 25 years and you will find that monster trucks take part in one of the biggest live motorsports events of all time. Feld Entertainment’s Monster Jam is said to pull in more than 2.5 million people each year. Vehicles like “Grave Digger” & “Monster Mutt” have literally become household names. Come to think of it, my 4 year old son has a Monster Jam Xbox 360 game. Yes, they’re everywhere. Now let’s jump to our end of the market. The Weaver’s, who manage the XRRA rock racing circuit under the umbrella company XORRA, have talked about running a separate stadium type series for years now. Nearly overnight, this concept of “arena rock racing” just got one step closer to reality. XORRA, with the help of XRRA driver Dan McDonald, struck a deal with Monster Jam to run one small arena rock racing competition during a live Monster Jam show. The idea was to treat this first show as an exhibition or pilot in hopes the audience would like what they saw. If they did, maybe arena rock racing had a future with Monster Jam. With literally no prize money at stake (aside from any contingencies) and only two weeks before King of the Hammers, six XRRA drivers hauled out to Angles Stadium in Anaheim, CA to put it all on the line in front of nearly 50,000 spectators. In the end, I think they put on one heck of a show! Yes the courses were short and yes the XORRA portion went very fast. However, all the XRRA drivers showed the highest level of professionalism anyone could ask for. Just as important, the audience really seemed to enjoy the show. Only time will tell if something comes out of all of this, but hats off to everyone involved for making it a true success.